When it comes to delivering a presentation or hosting a conference, naturally you want a venue that will truly do justice to the occasion. You want a space that will leave every attendee feeling stunned, equipped with all the amenities you need to deliver a compelling seminar. No matter where you’re looking for seminar room rentals in Hong Kong, we have you covered. 2book is the go to place to find seminar venues and more in Hong Kong. We list some of the most prestigious seminar venues that Hong Kong has to offer, from slick corporate settings for professional business conferences to lively venues that are perfect for entertainment events or product launches. With conveniently located seminar venues listed on 2book across the city, you’ll find the perfect space for your next event no matter where you are. 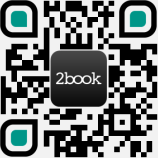 Welcome to 2book, the number one destination for people in Hong Kong looking for venues for all occasions. Our list of venues contains some of the most prestigious destinations in Hong Kong, with a wide variety of spaces for hire for gatherings of any size. Alongside our seminar room rentals in Hong Kong, we also list everything from studios to party rooms. Take the hassle out of finding the right venue for your next event by browsing through our list and finding the perfect one for your today! Got a question about one of the venues listed on 2book or wish to make a general enquiry? Our team are always happy to answer any questions that you may have. Simply head to our contact page to get in touch with us today!